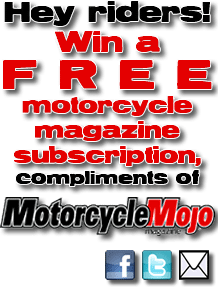 To celebrate 2013, the year of the Mojo, YouMotorcycle has been giving away one free Motorcycle Mojo magazine subscription every month! Just read more and scroll down to enter. February’s winner was Lynn MacCallum. 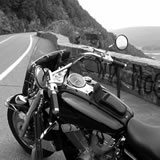 Lynn started riding when she was over 50 and had just retired to Prince Edward County in beautiful Southern Ontario nine years ago. She started with a 50cc and moved up to a Suzuki Burgman 400 the following summer. She does a lot of daily riding, for both errands and for pleasure. Her husband came back to motorcycles after a long hiatus and rides a Suzuki Intruder. We’re told he does an alright job of trying to keep up with Lynn. 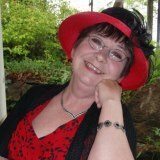 She likes to avoid the 401 highway superslab and prefers the fun backroad adventures with her husband or on her own. It’s great to see our free giveaways go to riders who truly love the sport. Way to go, ladies! Gentlemen, please start entering a little, come on now! Wendy and Lynn won simply by liking YouMotorcycle on Facebook. That’s it. 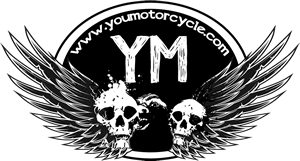 They increased their chances of winning by following on YouMotorcycle on Twitter, and joining our newsletter. The more ways you enter, the better your odds are of winning! Once you’ve done all that, just check off in the box below to validate your entry. The winner will be announced in the first week of next month. Again, a big thank you to the Motorcycle Mojo crew for throwing your support behind the local motorcycle community, both out on the road and online.